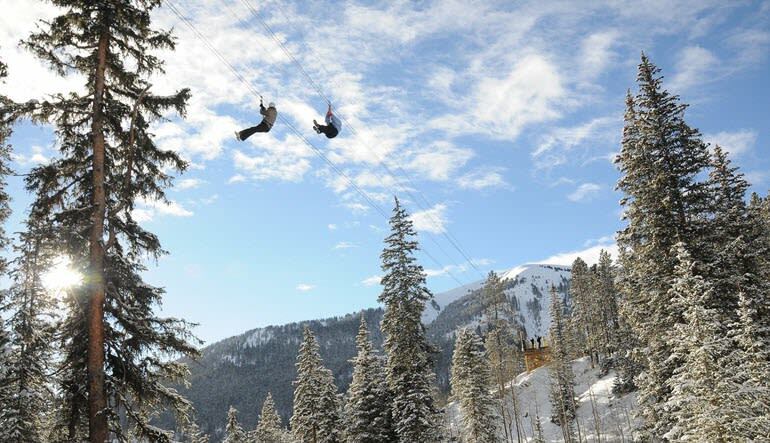 Take in the Rocky Mountains like never before; zip line and snowmobile through the trees, forest trails and across mountain slopes for the first time ever. See the Rocky Mountains from areas never before accessible to the public. Our spectacular 2500-acre private property rests on the splendid slopes of Mt. Arkansas, an almost “Fourteener” at 13,795 feet. 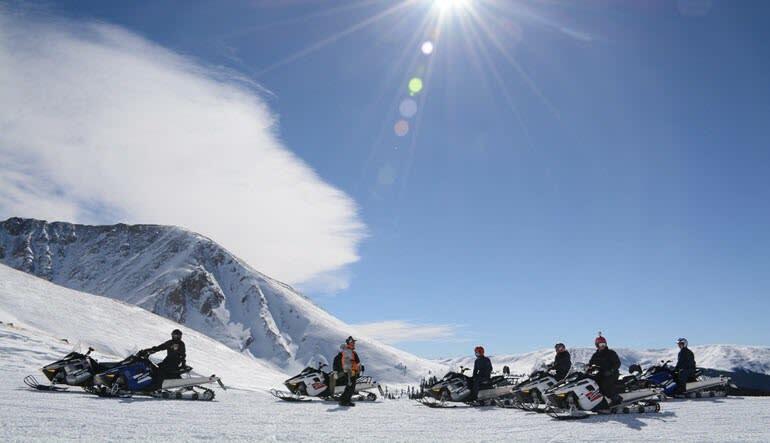 Choose your favorite guided snowmobile tour depending on your experience and participants then we’ll add a delicious box lunch served in our cozy high mountain yurt, followed by our entire Zip Lining adventure. Guests will receive gloves, helmet and other equipment, then enjoy a short zip on a practice line before departing from the first take-off deck at 11,200’. Trained and certified zip line guides will accompany participants on the tour. The course has six separate zip lining sections, each with entirely different elements of speed, height and terrain, with cables up to 850 feet, some more than 300 feet off the ground. All zips have double lines for safety, we hook to both the top and bottom cable with two separate carabiners for ultimate safety. Our automatic braking systems eliminates the need to “self brake”. This is particularly important for families with children. 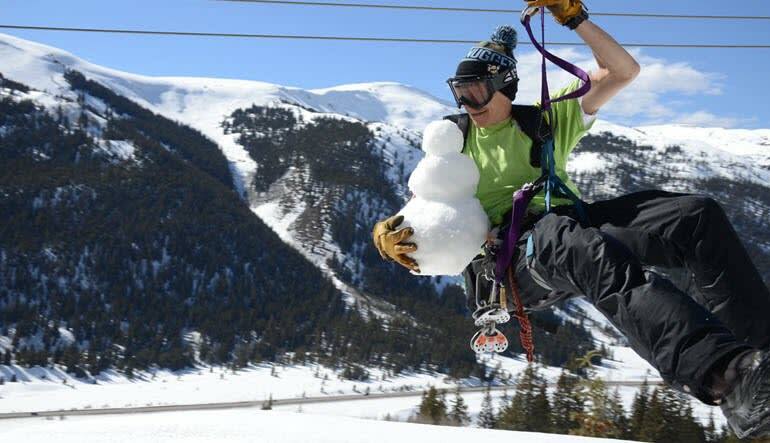 On 4 sections of the course, guests can fly side by side on TWIN LINES with magical views of the snowy alpine tundra just under the lip of the great Continental Divide; one section is a single zip. 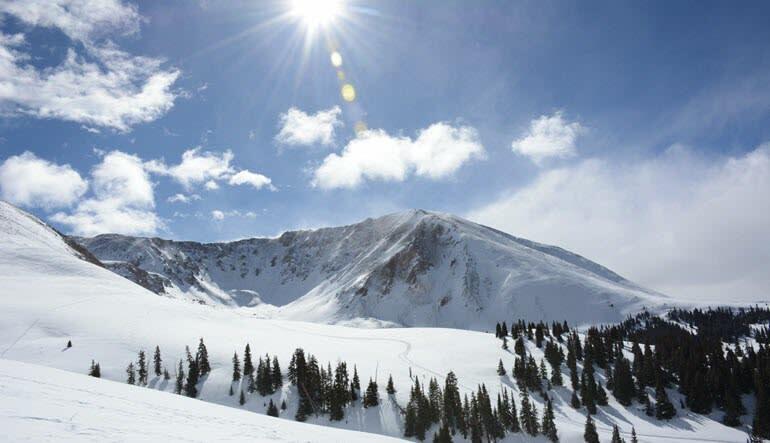 After the fifth section, ride the Big Nugget with three zips side-by-side-by-side and land on our 100’ tall tower with splendid views of Mount Massive, Mount Elbert, and our mountain, Mount Arkansas, an almost Fourteener. Transportation from Base Camp to the first zip line area on steep scenic winding mountain trails is by snow cat, 4-wheel drive vans, or Polaris Rangers, depending on snow conditions. Participants must be able to walk short distances on downhill trails between the zip line areas. 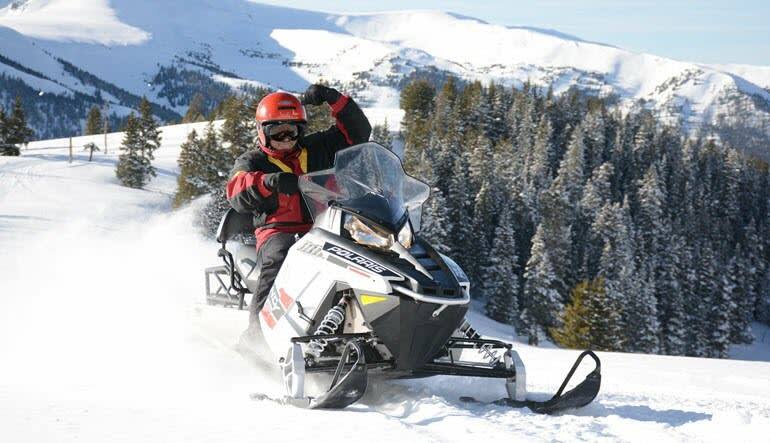 All parts of this outstanding tour are guided by experienced snowmobile and zip lining professionals. Maximum weight is 250 lbs.